Could I have Asbestos in my home? Between the 1940’s and 1980’s asbestos was a common building material used for many construction types including residential dwellings. It is highly fire resistant, very durable and is a good insulator, so became popular in construction. It was later discovered that once disturbed asbestos was very hazardous to humans, resulting in a range of severe health problems. The use of asbestos in any construction was illegalised in late 2003 throughout Australia, so if you home was constructed after this date the likelihood of it containing asbestos is very small. However, if you home was constructed before December 2003 there is a chance it could contain asbestos products, this risk is heightened if constructed before 1985. There are many places asbestos was commonly used in home construction. Kitchen Cupboards, bedroom walls, roof eaves, roof sheeting, sheds, garages and cement sheeting are areas asbestos is commonly found. Both internal and external areas can contain asbestos as it was seen as such a useful product. 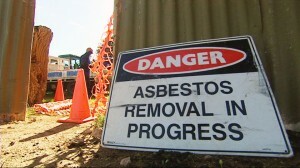 It’s worth noting that so long as asbestos remains undisturbed then its risk to humans is low. The risk arises when asbestos is disturbed without the proper qualifications, or disposed of irresponsibly. Why Should I employ an Asbestos Assessor or Removal Specialist? One of the main problems of asbestos is that it is relatively difficulty to know it is present unless you know what you are looking for. It’s all too easy to find asbestos once it has been disturbed, only realising the problem once it has already become hazardous. Employing a qualified asbestos assessor is wise if you have any suspicion regarding asbestos, even if it only the date of construction. 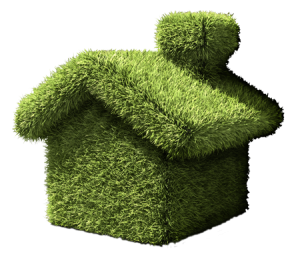 Having complete piece of mind, or locating a problem without disturbing the dangerous fibres, keeps everyone protected and confident of their homes safety. In addition, hiring a qualified removal specialist if asbestos is located ensures the material is removed and disposed of with appropriate care and in accordance with the law. For reliable and safe asbestos removal Cannon Vale residents can trust to do the job right, Allenbuild are only a few clicks away. When Should I find a Professional? As mentioned above, asbestos only becomes hazardous once it is disturbed. If you home was completed before 1985 and you are considering any renovations, it is time to find an assessor and, if necessary a removal specialist. Do not risk disturbing asbestos and breathing its hazardous fibres under any circumstances. If you go ahead and commence improvement work without an assessment and asbestos is found, any tradespeople will cease work immediately which could cost you time and money. An unqualified person can only legally remove an area of asbestos that is equal to ten square metres or less. Employing qualified professional to both assess and remove asbestos is the only sure way to make sure you, your family and those living nearby are safe. If you require qualified asbestos removal specialists in Queensland contact Allenbuild for a quote. Asbestos assessors can have one of two licence types; A and B. Identify the type, location and condition of any present asbestos. A class B assessor is only qualified to carry out a survey which will detail the type, condition and location of any asbestos. They cannot provide detailed reports and give advice about removal or disposal. Asbestos removal specialists can have one of two licence types too; A and B. A Class ‘B’ removal contractor can only disturb, handle, remove and dispose of bonded asbestos. Always ensure your asbestos assessor and removal contractor holds a valid licence for the work needed. Do not allow an unqualified person to work with asbestos in your home; it is both illegal and unsafe. Brian Allen of Allenbuild holds a class B asbestos removal licence, so can disturb, handle, remove and dispose of bonded asbestos in Queensland. For asbestos removal Queensland homeowners can count on, call Allenbuild.